Did you know that up to 50 percent of a home’s energy costs may be going directly to heating and cooling? 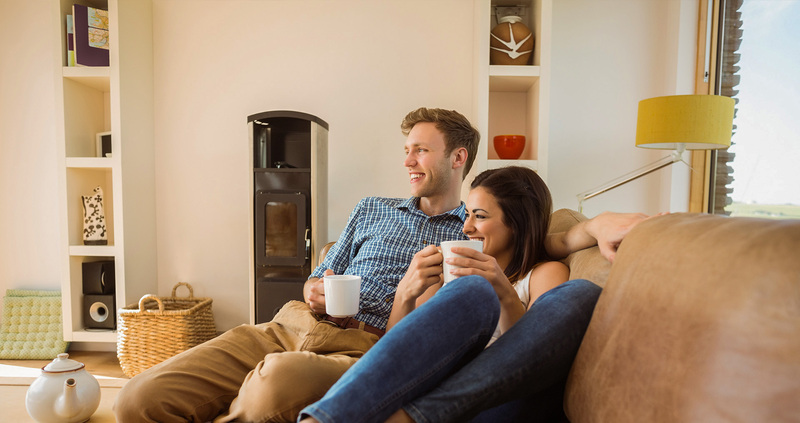 Energy efficient heating and cooling equipment can keep a home more comfortable year-round and can save money. Highly efficient electric heating and cooling system that uses traditional air ducts and room registers to distribute warm or cool air. Highly efficient, wall mounted electric heating and cooling system. A process that seals the leaks in your duct system’s seams, fittings and connections to minimize wasted energy in the home. A very efficient air handler motor that replaces a lesser efficient permanent split capacitor motor in an air handler. Low-cost home cooling system mounted on the outside of your home that cools outdoor air by evaporation, and then blows the cooled air into the home. A storage tank water heater that uses an electric heat pump instead of electric heating elements to heat the water in the tank. The latest generation of home thermostats with features that can impact your heating and cooling energy use. A high volume fan that draws in cool evening air to circulate and cool your home instead of using your air conditioner.